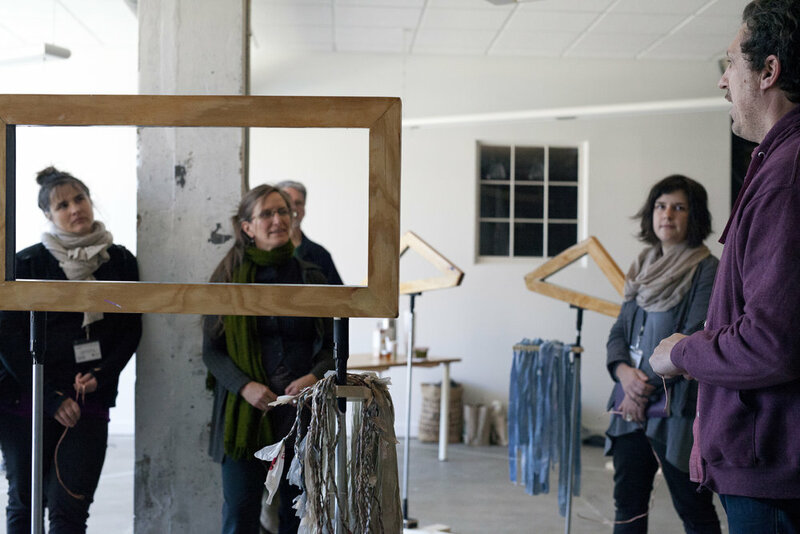 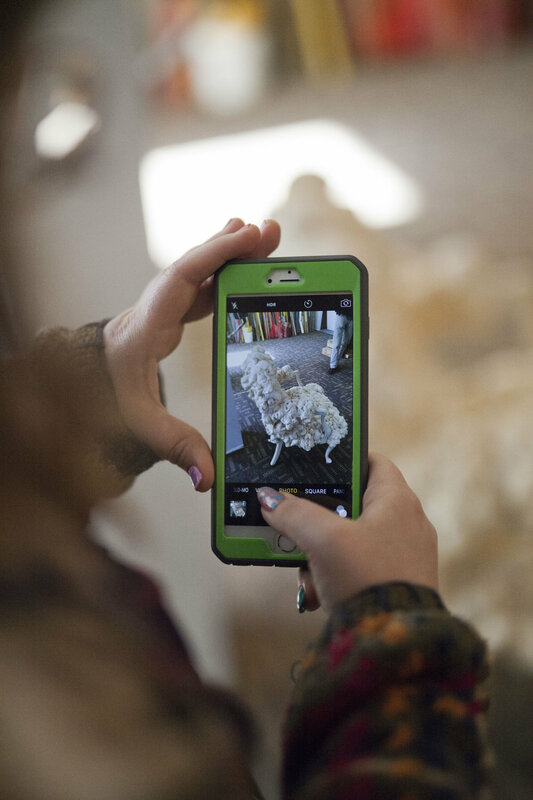 INTERLUDE was a month-long series of contemporary art events held in and around the Broadway Arts District in downtown Asheville, NC produced in collaboration with The Media Arts Project (MAP) and Black Mountain College Museum + Arts Center (BMCM+AC). 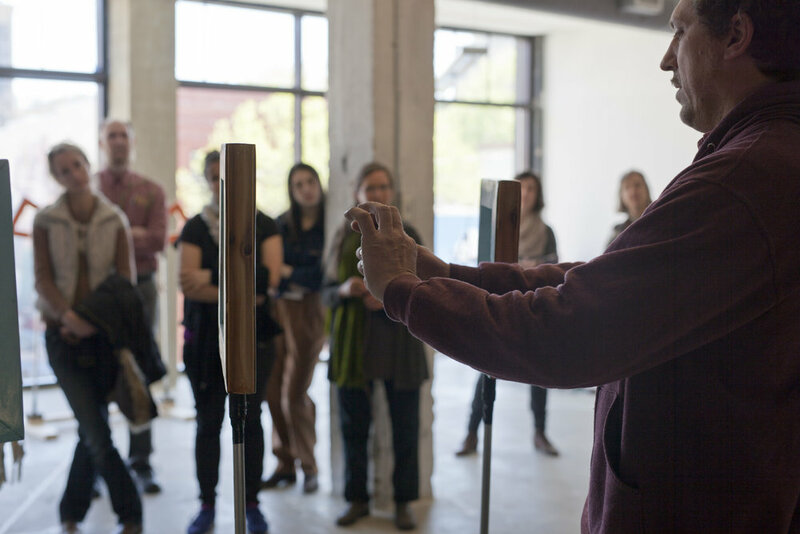 Inspired by Josef Albers’ time at Black Mountain College, during which, if the college atmosphere became too intense, Albers would announce a week-long “interlude.” Everyone in the community was expected to take a break from their studies and pursue activities unrelated to their course work. 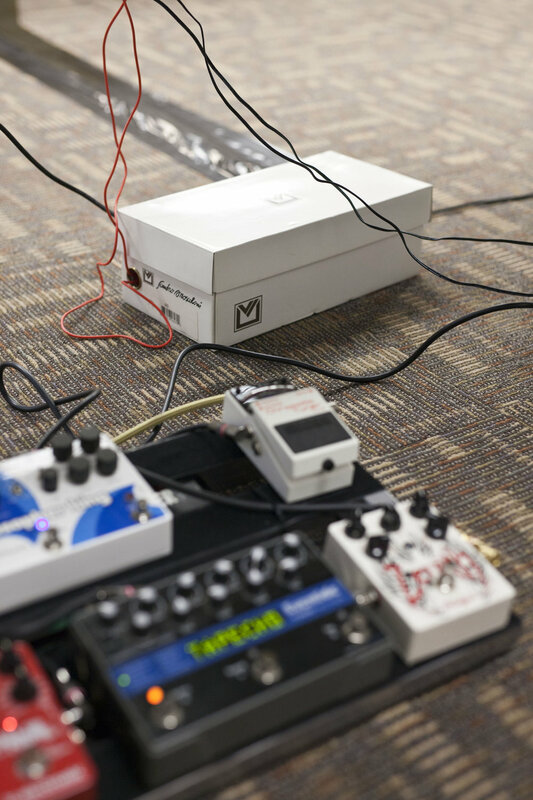 It was a time to recharge, recalibrate and refocus. 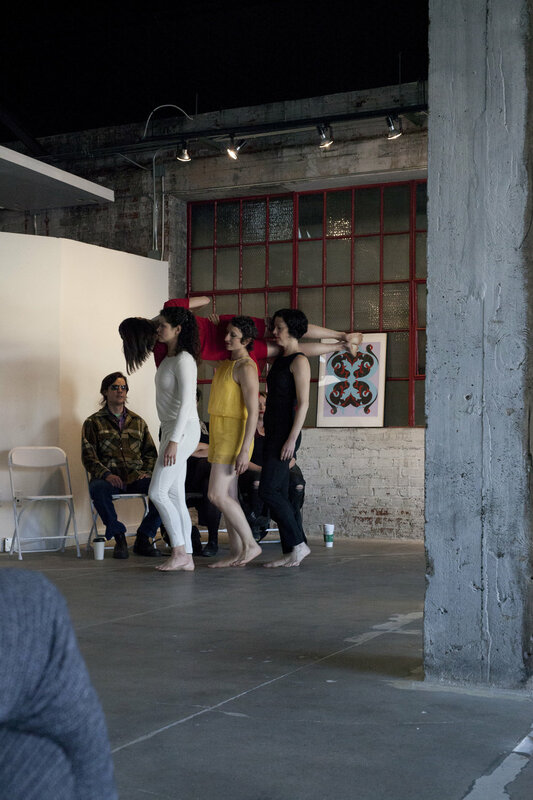 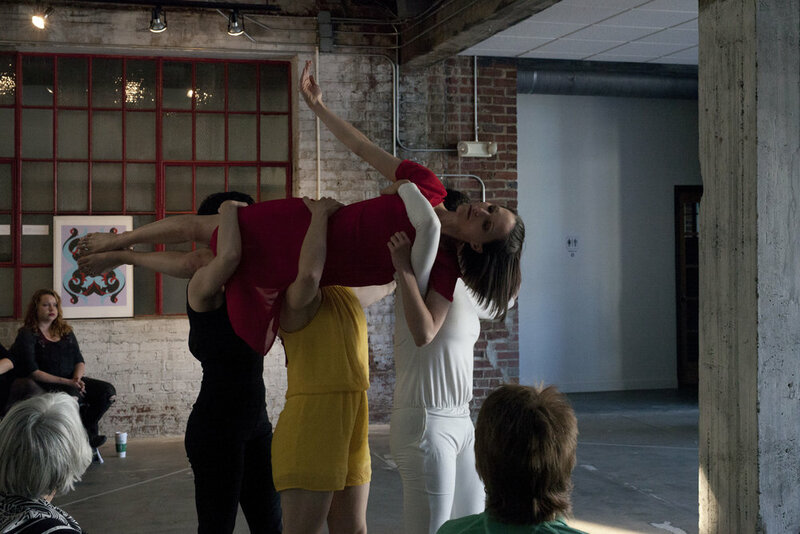 The series activated a variety of spaces in downtown Asheville through music, dance, poetry, video, installation, conversation, and participatory events. 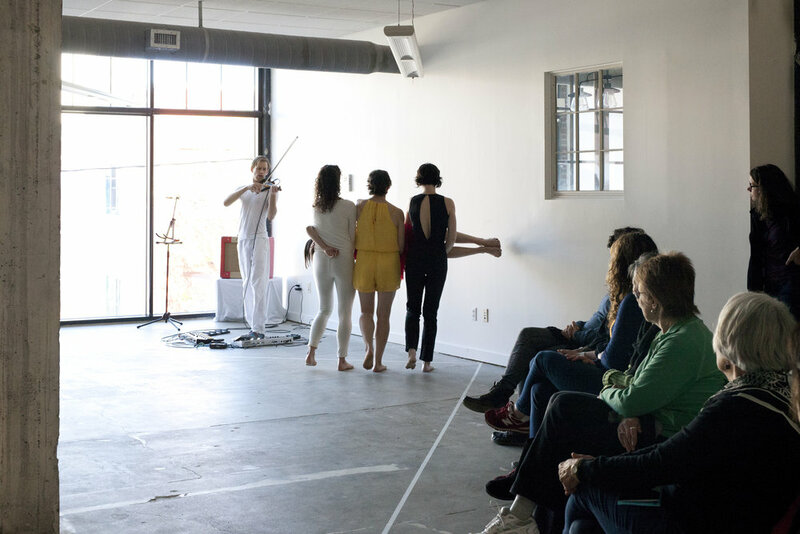 With a focus on accessible, immersive, as well as passive works, and by utilizing many non-traditional spaces for site-specific works, Interlude allowed many individuals who may not ordinarily seek out contemporary applications of performance, technology and aesthetics to engage to their level of comfort. 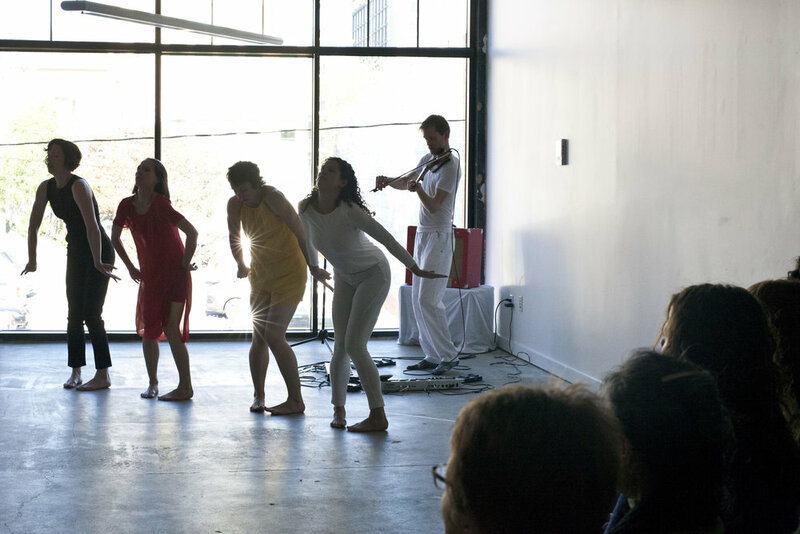 Beginning with a kick-off weekend featuring over a dozen artists and cohorts, and ending with a Block Party including the continuation or conclusion of many durational works, as well as all-ages, family friendly arts educational projects inspired by Josef and Anni Albers, Interlude offered a unique experience for any level of participation, from the casual observer to those who attended every event. 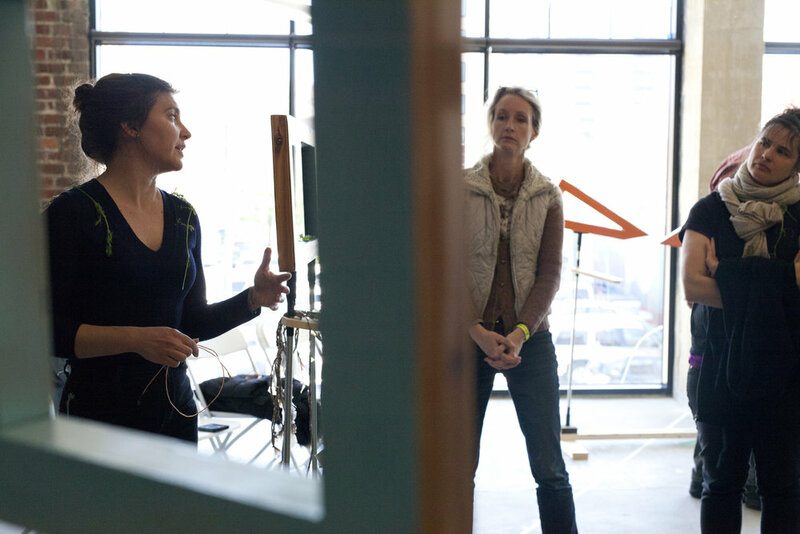 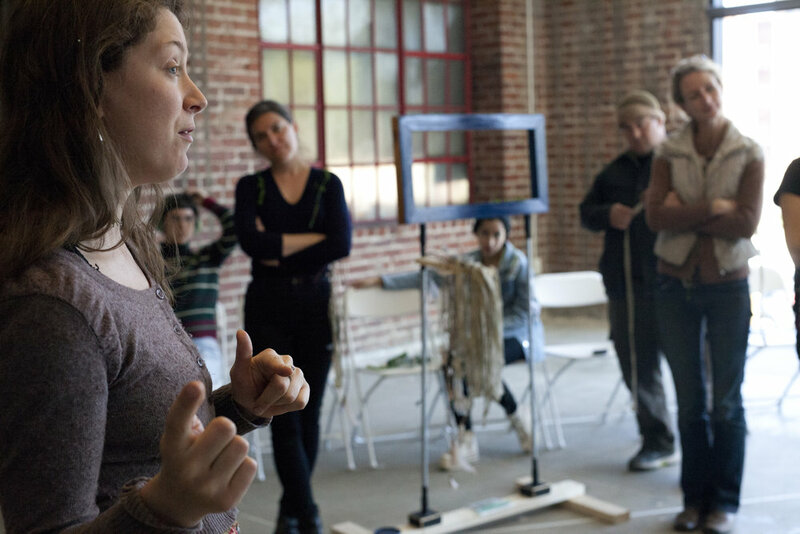 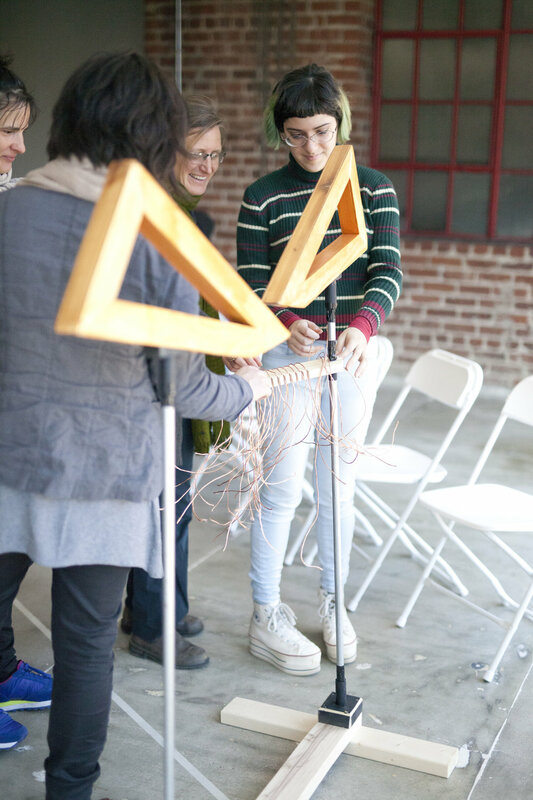 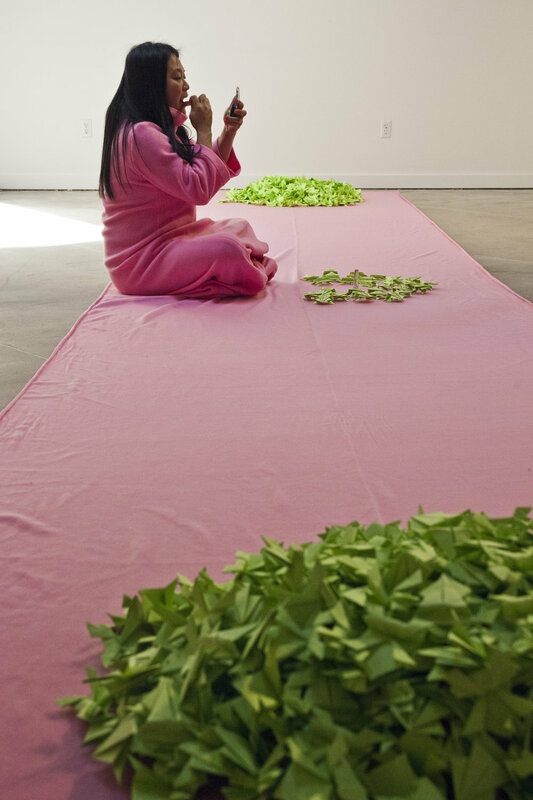 Among the first durational works of the series to begin opening weekend, Jessica Green, visiting artist and teacher at Warren Wilson College, leads a group of students in a durational performance that emphasizes the timeless and enduring practice of weaving. 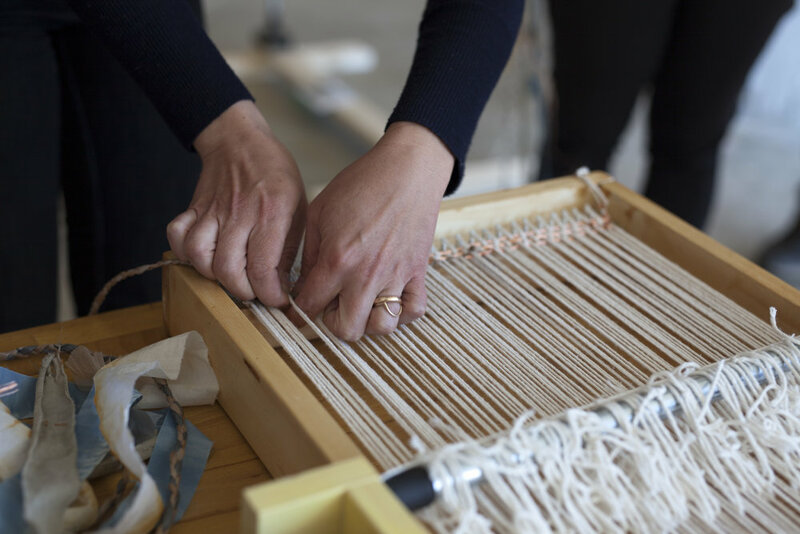 The students become weavers through the ritual of the weaving act, building connections between each other and their creations. 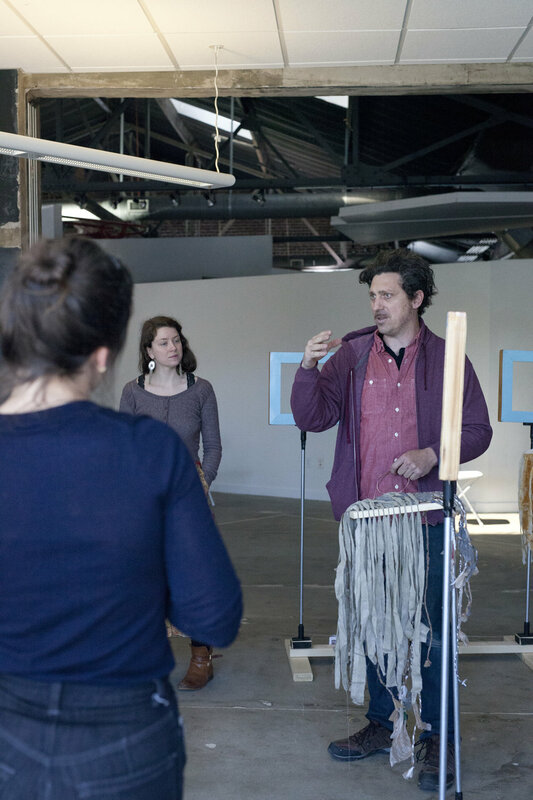 Inspired by the craft history of the Appalachians and of the human race as a whole, Green and her students seek to find truths in the repetitive motions and slow progress of the loom. 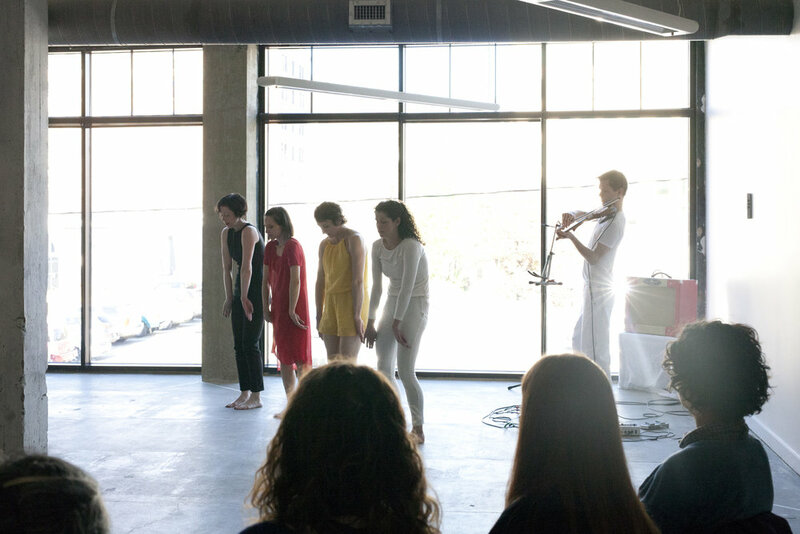 Lindsey Kelley Dance premiered a new piece which responds to the silkscreen prints titled “Magic Language” created by industrial designer Eva Zeisel and the ceramicists of KleinReid, with an accompanying music composition by Marc Hennessey. 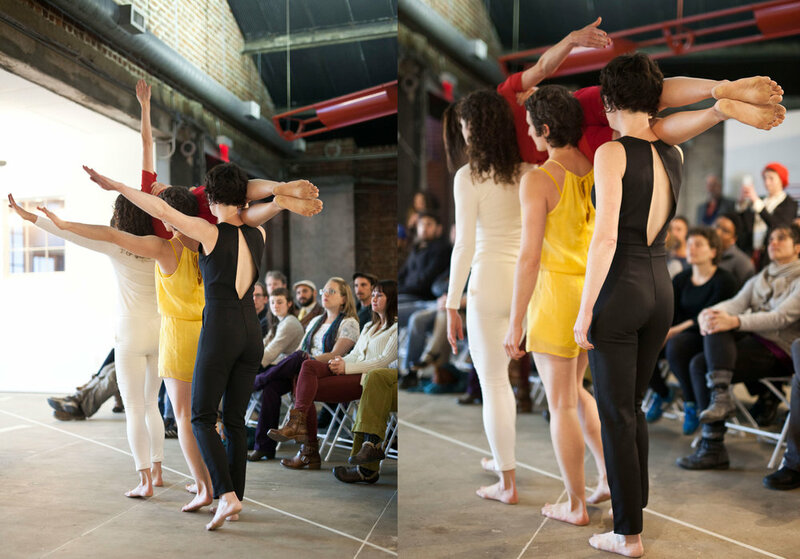 The choreography, costumes, and music were derived from the sense of harmony and balance of the two prints, incorporating their colors, shapes, and mood. 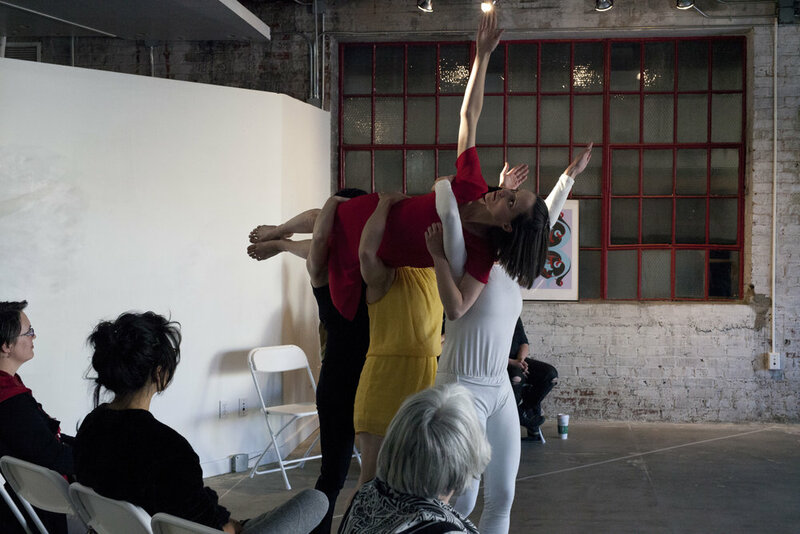 The first part of the dance responds to the first of the prints, with masculine and weighted movements; the second part of the dance corresponds to the second print and is more feminine and light. 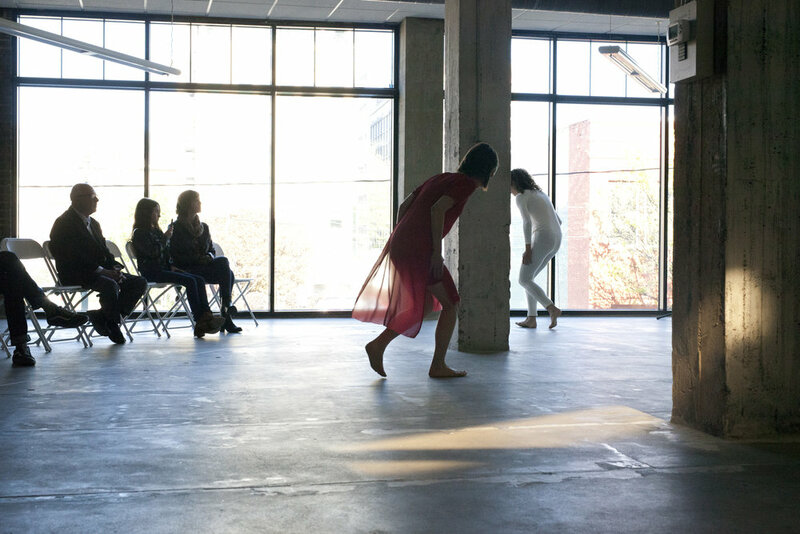 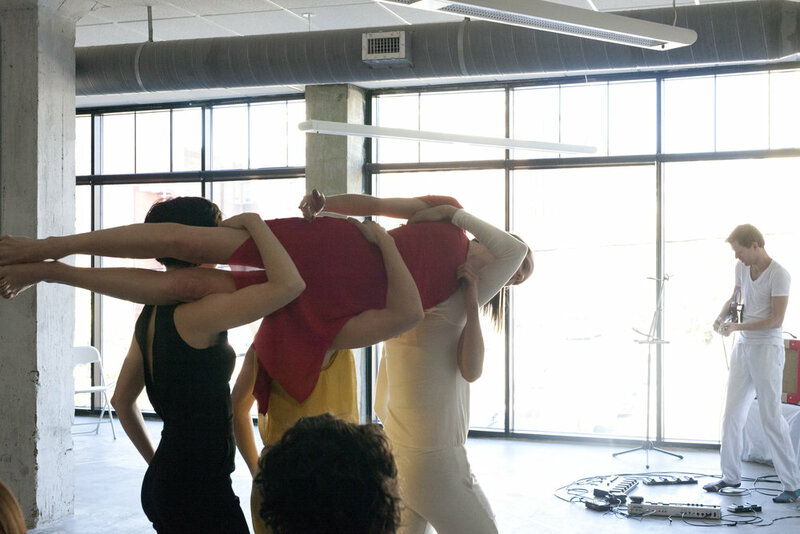 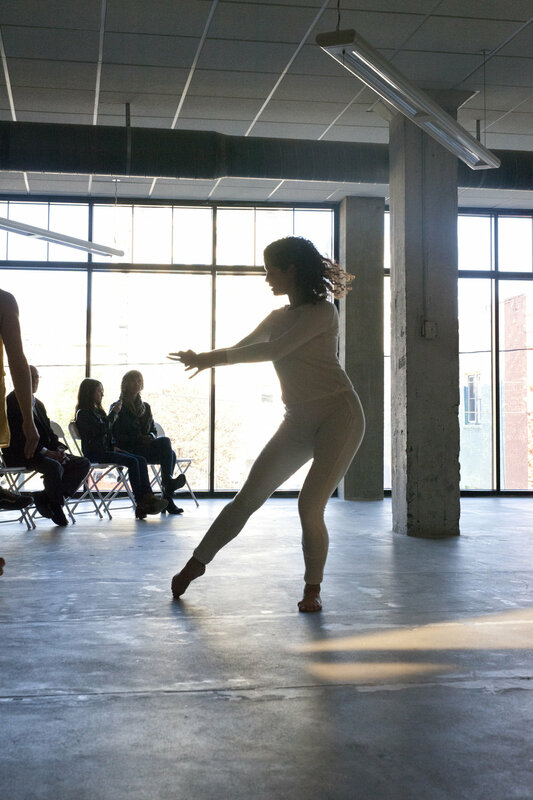 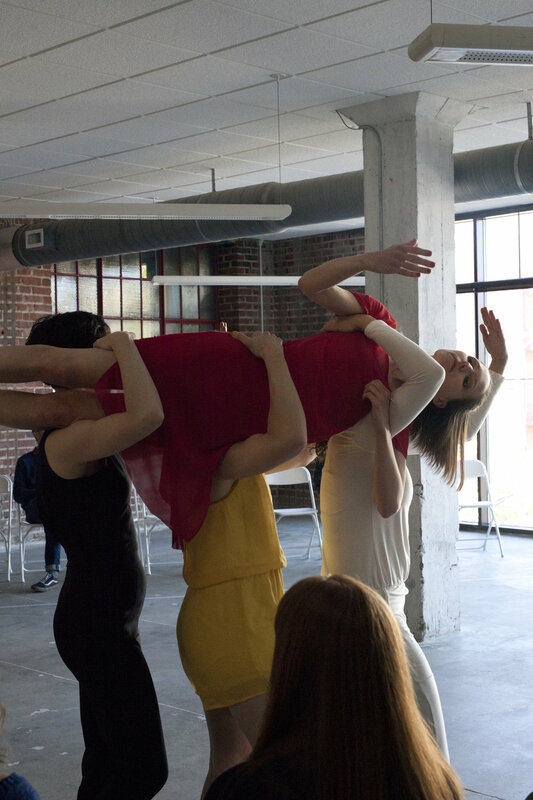 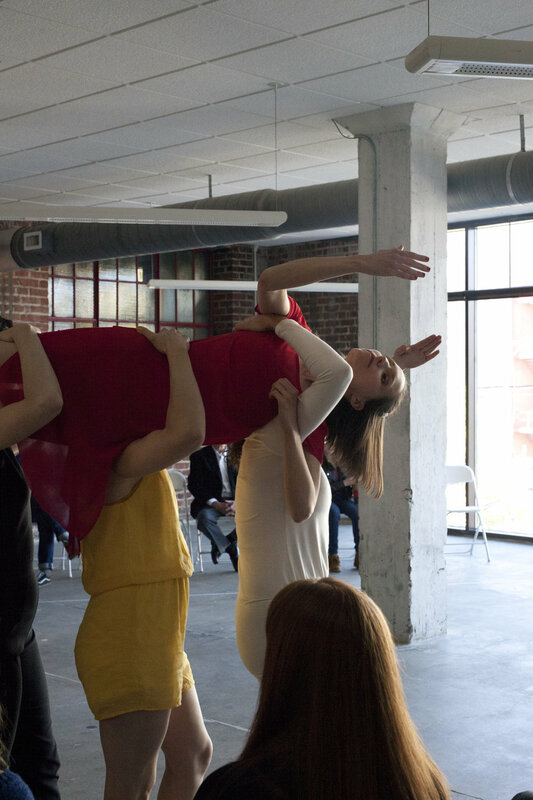 Lindsey Kelley Dance is a modern dance team founded by Lindsey Kelley Brewer, who engages Asheville audiences with her honest and innovative dance. 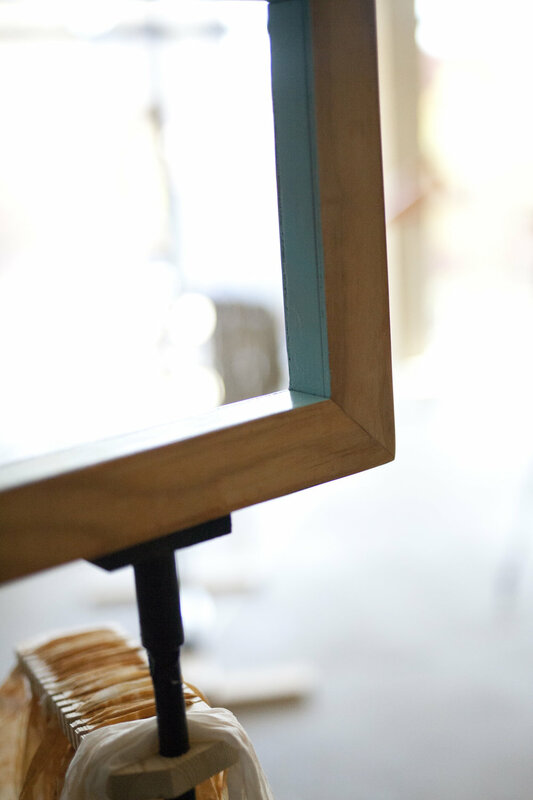 Mirror, Mirror – Why Have You Cursed Me? 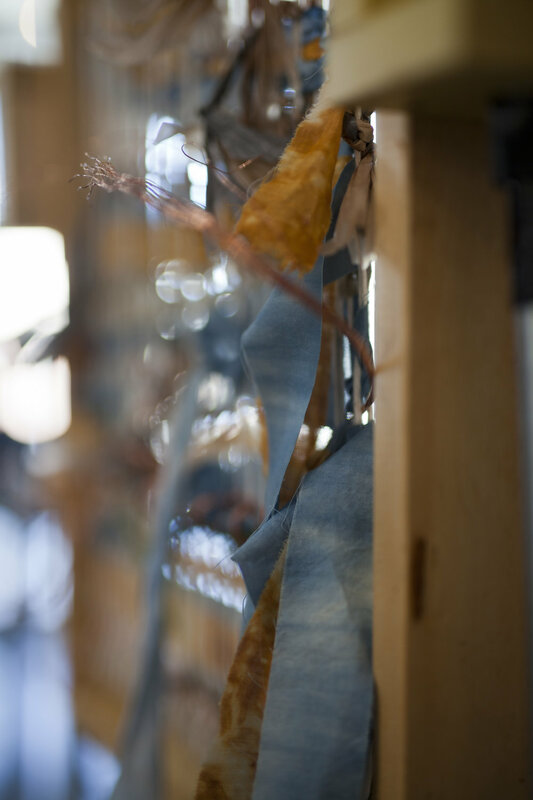 DeWayne Barton began his durational and interactive work with a series of poems and a sculpture installed in the front window of 56 Broadway, which evolved over the course of Interlude. 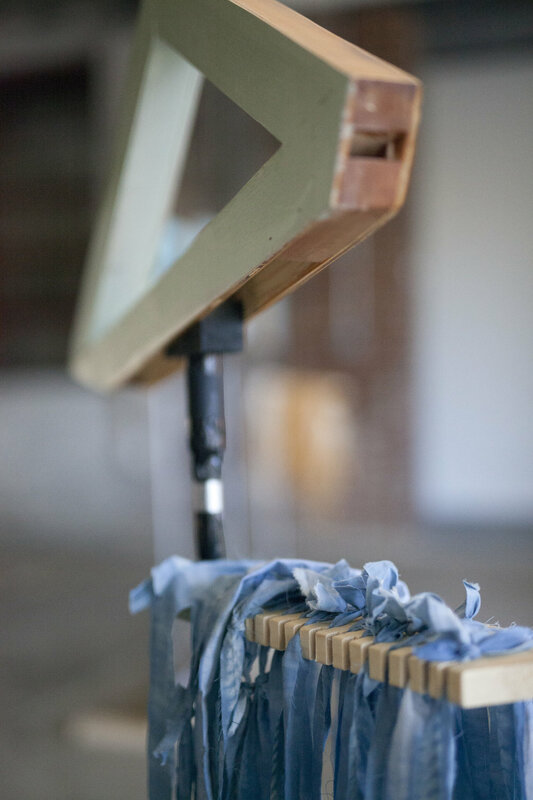 He used found objects to explore race and stereotypes, raising questions about how we see ourselves and each other. 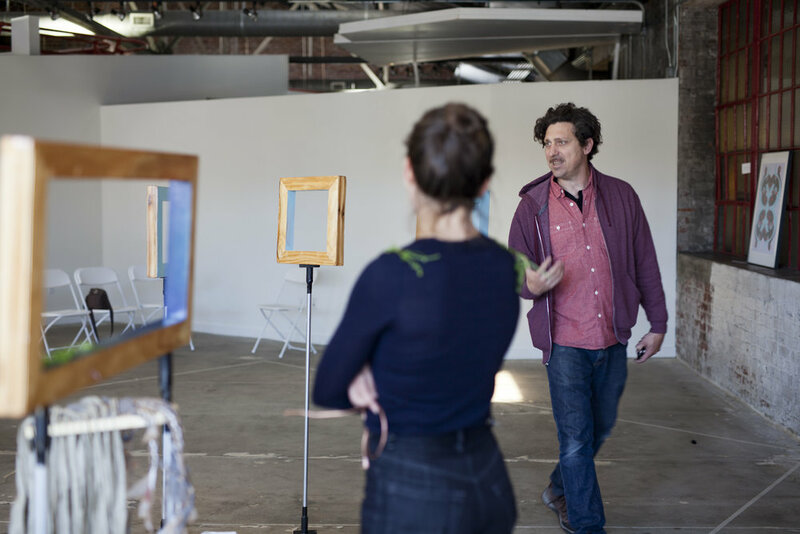 Barton incorporates current events and social activism into his work and will respond directly to the time and location of this particular sculpture. 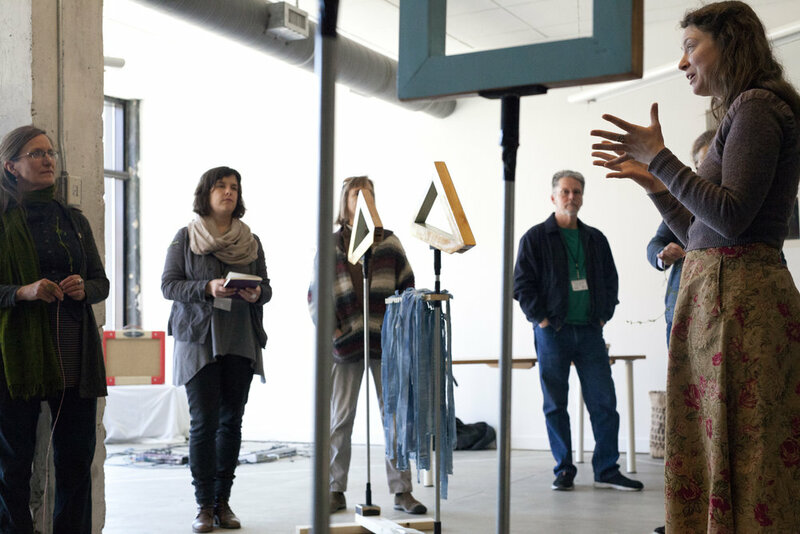 Barton is the founder and CEO of Hood Huggers International, an organization that builds community pillars in ‘Affrilachia.’ Barton is a poet, sculptor, and performing artist with firm roots planted in social justice.